Won’t You Let me Take You to SEAVIEW! 2 Lots Buy 1 or Both! Talk about Convenient! 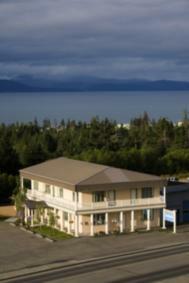 Just minutes from the Homer Spit, Galleries, Stores. Take the Bike trail across the street for a ride or go for a stroll in to town! Glacier, Mountains, Kachemak Bay and Homer Spit! 0.61 Acres!